The aroma of ghee wafted across the entrance of the restaurant. 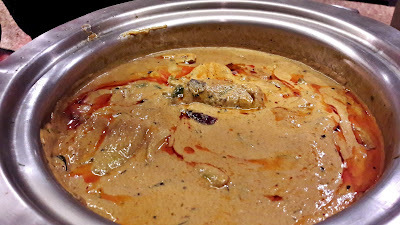 At the live cooking stations, chefs were warming up portions of haleem and stirring in a little more ghee before filling small bowls with them. A topping of fried onions, a little chopped coriander and a squeeze of lime juice later, they were served to waiting diners. But my eyes were riveted on the raan. 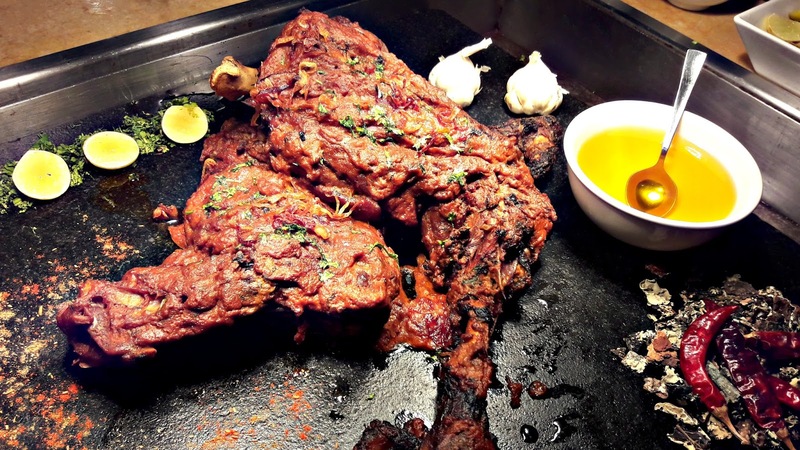 The roasted leg of lamb was covered by a blanket of masala and only the end bones were visible. The chef carved out a few slices, warmed it up in his skillet with some more masala and a spoonful of ghee. It was transferred to another skillet and topped with chopped coriander leaves before it too was taken away, only the aroma lingered in the air. 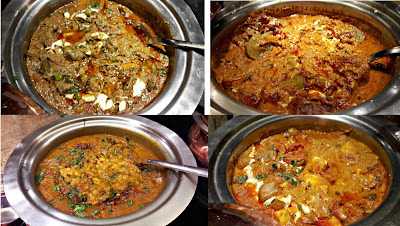 Hyderabadi food developed in part because in the time of the Nizams, cooks worked on other cuisines and incorporated them with their own. This accounts for the popularity and uniqueness of the Hyderabadi biryani and other meat-based dishes the region is known for. Friends on Facebook have been bemoaning the lack of good haleem in the city. The first time I had haleem was a few decades ago when an aunt's Hyderabadi friend sent some home. 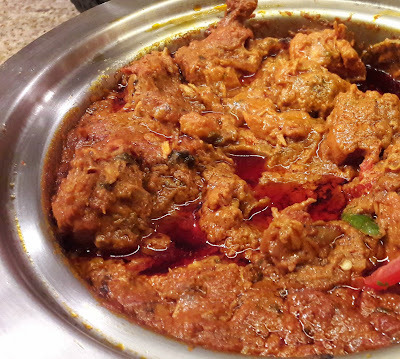 That was also the first time I was hearing of this dish that is popular in the subcontinent. Haleem is a stew of mutton, wheat, lentils and spices cooked over low heat for hours and then beaten into a thick paste-like consistency and garnished with fried onions. To call it a stew would be a disservice to all the work that is invested in making it. Calorific and filling, it is ideal for those breaking their day-long fast during the month of Ramadan. 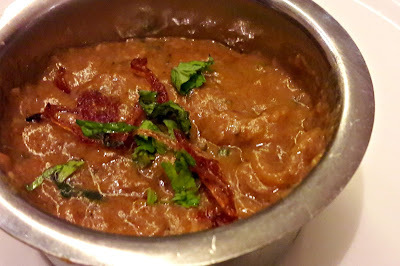 Spice Haat's haleem was dense and creamy, the aroma of ghee and mutton was divine. There's also a version made with vegetables for those who do not eat meat. 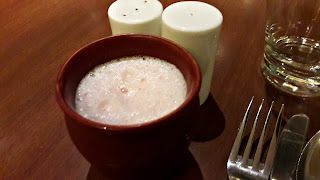 Dum ki raan, on the other hand was luscious. 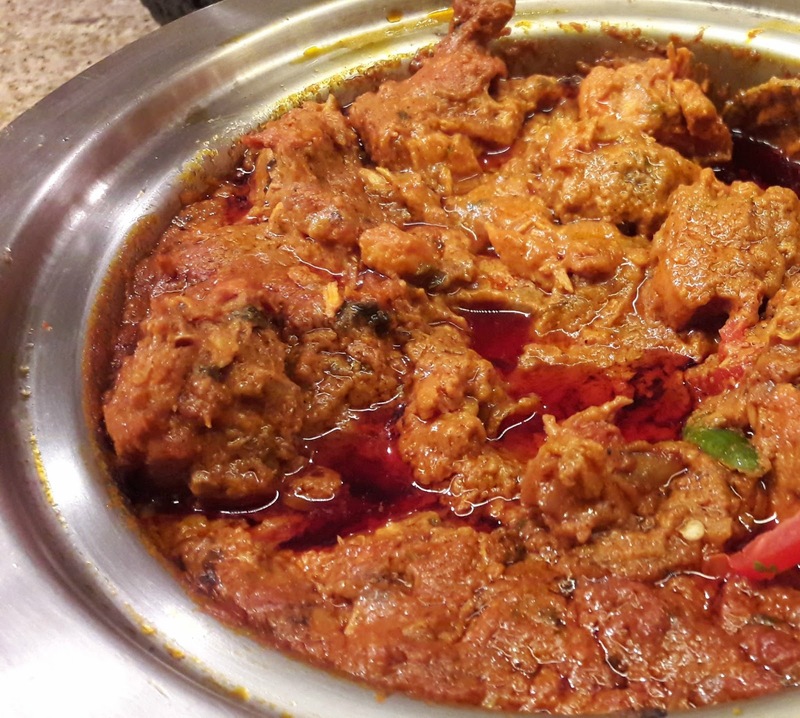 Tender meat and the perfect blend of spices, red chilli and cashewnut paste. Just wow! Of the appetisers, tandoori gobi musallam and murgh tikka kali mirch were excellent - the lingering taste of mustard oil on the cauliflower was the perfect finishing touch. 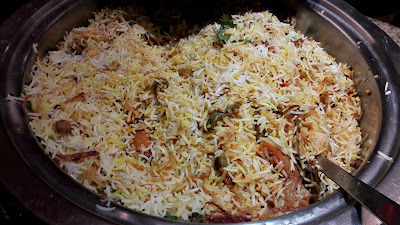 Cooking biryani is like a science project - it should either be perfect or the imperfections will be all too obvious. 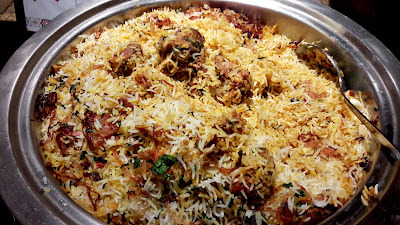 There's another challenge to cooking a kacche ki gosht biryani - the meat used is raw and if any of the proportions are off, it could result in overcooked or undercooked rice and / or meat. The right amount of liquid is crucial to this method. Chef Surender's was aromatic, flavourful and could give every other biryani a run for its money; each grain of rice was separate, speckled and the meat was fall-of-the-bone tender. Mirchi ka salan, biryani's faithful companion, was equally delicious. The familiar flavours of dessicated coconut, peanuts and sesame seeds, the tang of tamarind - they were all there. What bliss! Double ka meetha, the Hyderabadi version of a bread pudding is usually made with slices of sandwich bread but here, the cubes were rather large and was difficult to cut into them though it was nice and sweet. 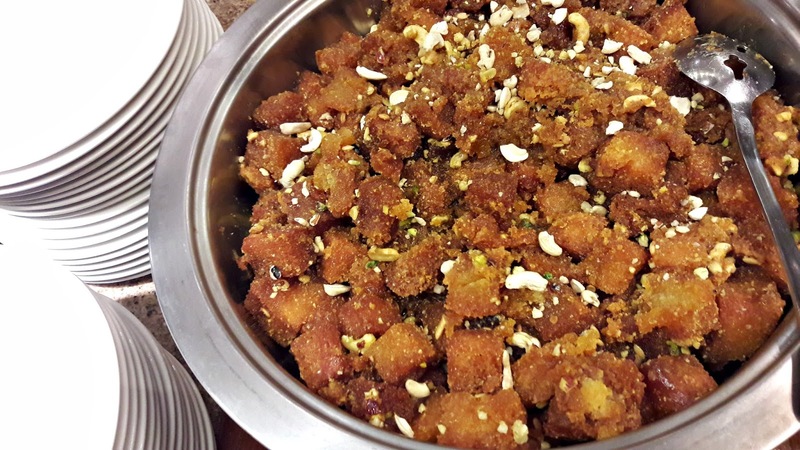 The kubani ka meetha, the famous stewed apricot was disappointing, tasting like liquid jam. 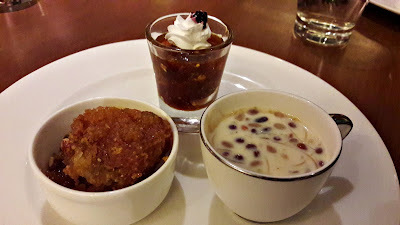 In Hyderabad, it is always served with fresh dairy cream to cut down on the sweetness. The Nizami Ramadan Repast is on till June 25th, 7.30 pm onwards and is priced at 1450/++ per head.